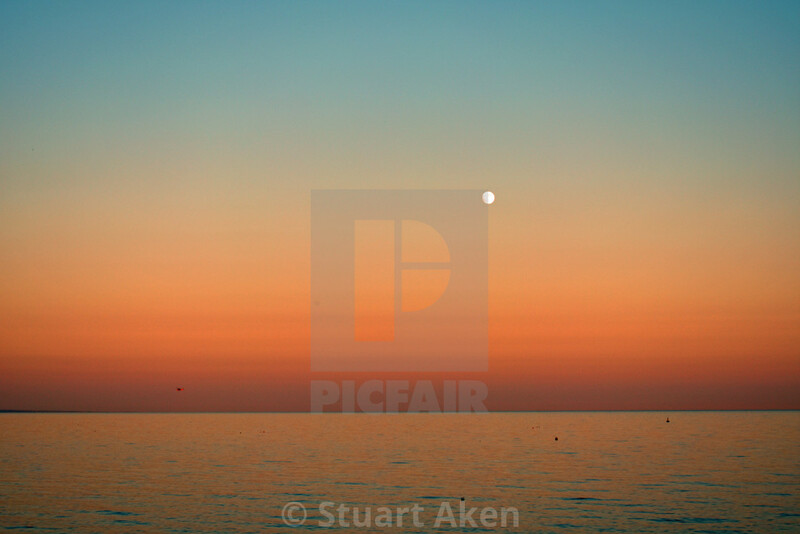 Purchase digital downloads and a range of printed products of Stuart Aken’s image - Moon Over Calm Sea at Sunset. Moon Over Calm Sea at Sunset. A full moon sits above a calm sea after the sun has gone down.